With the course “AN ENDGAME EXPERT” this will definitely become your reality!! Today everyone has access to huge chess databases. Everyone can learn plenty of opening lines and numerous ‘typical’ middlegame positions. Any chess player can prepare something against you using powerful computer programs. So the problem is – how can you win? So, how do we use our opponents’ low level of chess understanding to our advantage? You should go into an endgame! Endgame books do NOT help. Endgame books mainly analyze theoretical positions. However, in 95% of situations, you will reach a practical endgameposition with many pieces still on the board. An endgame theory can NOT help here (whereas a strategic understanding will!). the all-in-one system of playing in an endgame. It gives you ALL you need to know about any endgame. It shows you how endgame Masters think and how they come to the right moves. It gives you a step-by-step algorithm of thinking, which allows you to find the best move in any endgame position. Thus, you will be able to imitate an endgame Expert’s thinking process and achieve the same great results! My experience shows that serious students obtain 200-300rating points after learning from my chess courses. How can strong players win equal endgames? Practical recommendations for a successful endgame play. How to optimize your endgame study? One common delusion about an endgame. How to find the right moves quickly and easily in an endgame? Lesson-3: “The 2nd Endgame Plan”. The 2 main steps of planning. What are the correct plans in an endgame and why? What is the key factor in an endgame? The 2 main endgame plans. What and how you should attack in an endgame. One hidden secret of endgame Masters. What should you do when there is nothing to attack? How to maximize your winning chances in an endgame? How to easily make your endgame attack victorious? How you should realize plans in an endgame. Ready-made recommendations of what you should do in different types of endgames. How to avoid mistakes in an endgame? In the 4th lesson I will show you HOW EXACTLY you should realize the main endgame plans. An endgame shows all the strategic motifs clearly. We will analyze all the pieces and how you should use them most effectively. 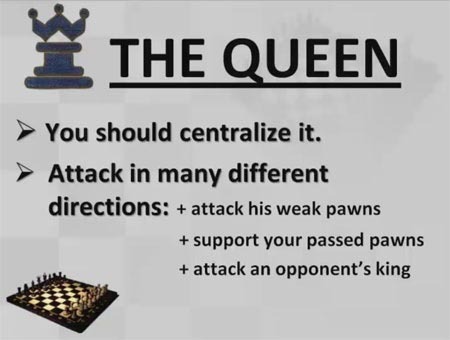 This will raise your general understanding of a chess game. I’ll give you the most powerful ready-made endgame plans and ideas. Thus you will get great results simply (because you will know everything in advance!). How to create a powerful attack with only a few pieces? What material is the most important in an endgame. 2 main ideas about material in an endgame. The guideline idea, which will help you to play easily any positions with unequal/unbalanced material. How to co-ordinate your pieces in harmony? 3 main rules about an exchange in an endgame. The most powerful defensive plan in an endgame! Why do you need to play in another style in an endgame? What is the best style of playing in an endgame? The greatest rule about an endgame. How can you develop your positional understanding? What is the main way to win in an endgame? How to ensure your win in an endgame. How to realize your advantage in an endgame? When to transform a game into an endgame? And how to use this weapon to WIN a game? Which ideas/plans become the most valuable in an endgame? How to win a game without any risk? The GREATEST practical secret of endgame Masters, which helped them to win masses of equal endgame positions. In this lesson we will systematize everything. I will show you an integrated system of thinking in an endgame (all-in-one!). You will understand clearly ALL the important rules concerning an endgame. I will give you the special “Mind Maps” which visualize the correct way of thinking (they are available for printing!). Therefore, you will digest and integrate the information quickly. You will have no problems in the endgame anymore! Moreover, YOU will understand clearly how endgame Masters find the best moves! Lesson-8: “Play Like an Endgame Expert”. In this lesson I will show you how to apply the correct system of thinking in a practical game play. You will see in a real-time mode how a Grandmaster finds the correct moves in an endgame. No puzzling over-complicated rules! You will know what REALLY happens in a Grandmaster’s head during endgame play. You will realize that everything is quite simple actually.You will see how YOU can do the same and how YOU can play like a true Endgame Expert! The course “An Endgame Expert” gives you an integrated system of thinking in an endgame.The practical part of the course helps you to train and to automate all the necessary skills.Therefore, you will not only be able to find the correct moves, but you will also do it quickly and automatically!This allows you to apply the course’s ideas in your practical games right away! 186 Special Tasks and Games for your Training. You will train all the aspects of an endgame expert’s style of playing. You will get into right thinking habits. 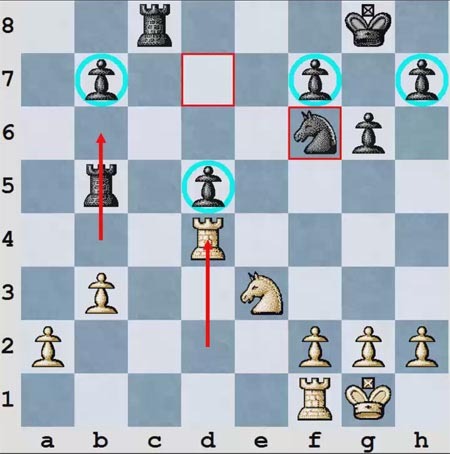 Excellent endgame play will become part of your chess nature! It will help you to train yourself properly and to achieve an optimal outcome from the program. The Grandmaster’s thinking process in a real-time mode. So that you will be able to imitate an endgame Master’s thinking process and achieve similar practical results! You will get all the programs necessary for the course. You will definitely be able to open the course and use it properly. The course works under Windows platform only. You will get the text version of every video lesson also. If you prefer to read than watch the video – you may do so easily. Even if English is not your first language, you will understand everything clearly. You will hear my voice, watch the video presentation, read the text, and you could simply use a dictionary if needed. You will get your special link for downloading the course after purchasing. So you do NOT need to pay an extra shipping fee and wait for several weeks to get the course. That’s whymy customers receive the course immediately after their purchase. The size of the whole course is approximately 150Mb. You can download it quite quickly (it depends on your internet connection speed, but it should be less than 30 minutes). Buy the course “An Endgame Expert” now and study it seriously. Learn the video lessons and complete all of the practical part tasks (following the corresponding instructions). Then apply these skills in your practical games. The video lessons (196 minutes). The special “Mind Maps” (for printing). Concrete examples, with commentaries, about how exactly you should apply these recommendations. 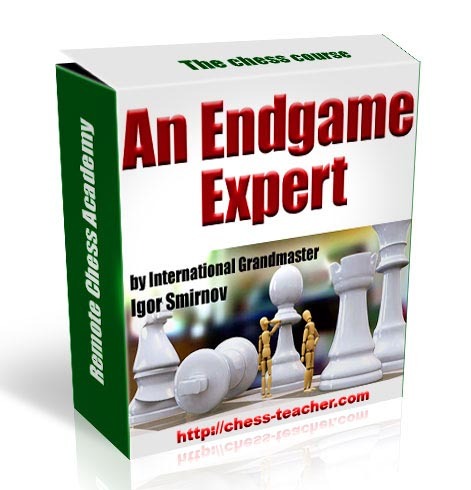 The chess course “An Endgame Expert” is more than just educational material. It is a special system of learning under the direction of an experienced GM and a chess coach. How long will it take for you to learn the whole course? It depends on you, but with SERIOUS study it should take about 1-3 months. Most SERIOUS students report a HUGE rating increase (up to 200-300 rating points). The chess course “An Endgame Expert” contains ALL that you need concerning the endgame.Thus you don’t need to buy a lot of rather poor materials. You will purchase 1 great product instead! As, this information will be applicable life-long, more effective and cost saving!! 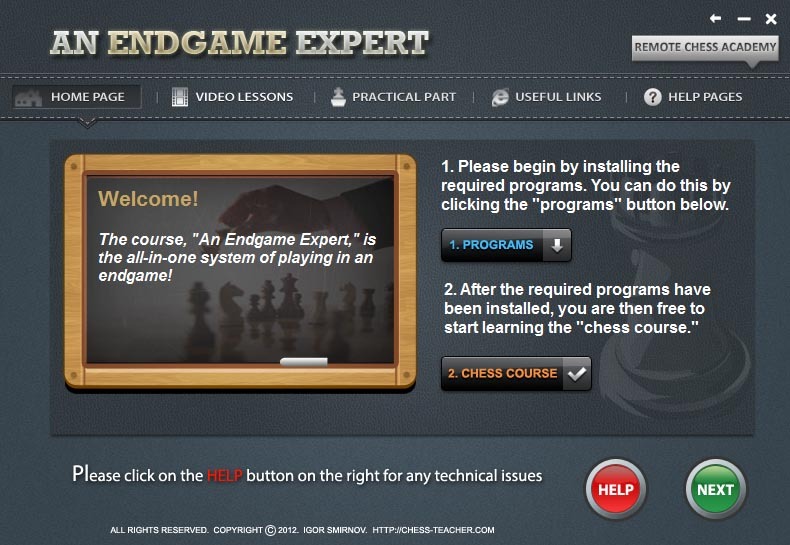 Chess course: “An Endgame Expert”. Goes to the heart of the problem with a didactic simplicity.